Thanks for all the recent interest and inquiries in Penguin frames. At this time we have accepted all the orders we can handle for 2012 so we are not taking any new orders at this time. Check back later next year for placing an order with a 2013 delivery. 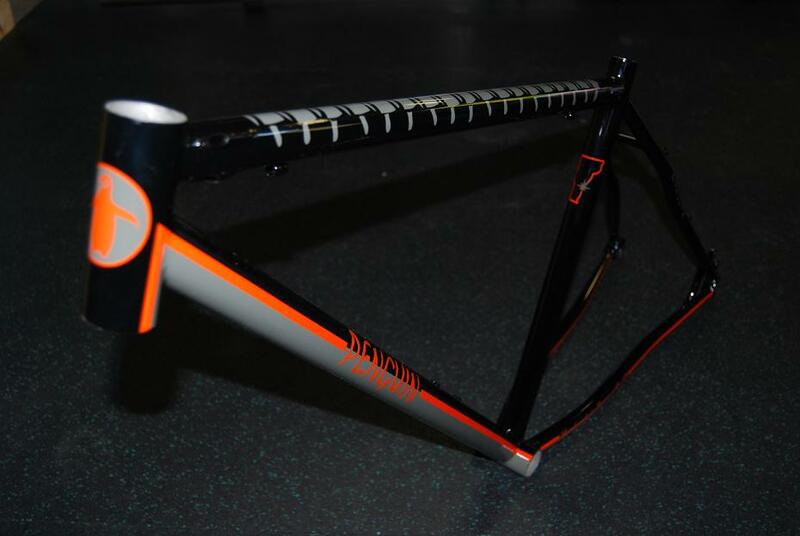 Due to an increase in material, paint and shipping costs there has been a slight increase in the base price for a Penguin frame. See Order page for price info. Proper fit is important to the long-term enjoyment of your bicycle. One of the benefits of a custom ride is the opportunity to tailor the geometry to your body. In designing an ideal bicycle for each individual, Penguin Cycles' bike fitting experience is augmented by fit optimization methods developed in-house. Penguin Cycles are custom built, made-to-measure, handmade bicycles. 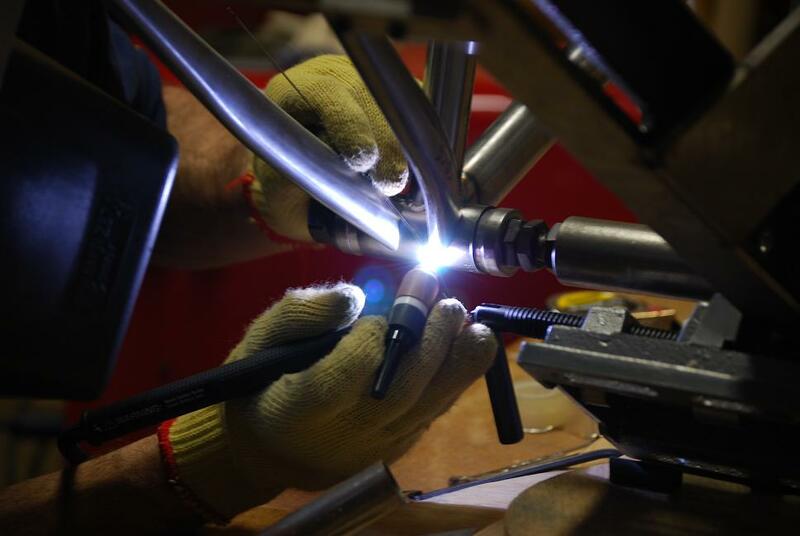 Eric, the Penguin Cycles' designer and builder, constructs each bicycle one at a time. All frames are methodically TIG welded to ensure high quality results. Our attention to detail and thorough design process ensures a beautiful marriage of engineering and art. Whatever you can dream up! 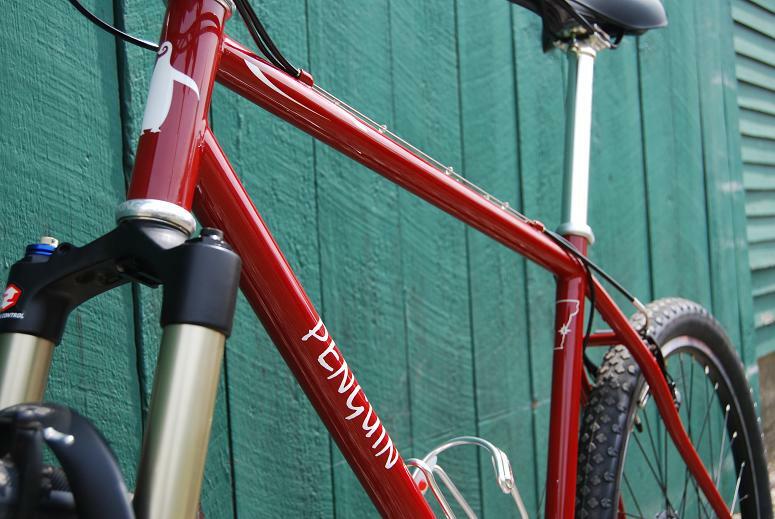 Penguin Cycles will work with you to find a bike design and finish that reflects your personality. We can help you transfer everything from intricate details or vague notions into brilliant design and finish so that you can ride away on a bike that reflects your unique style.